At the 23rd African Union (AU) Summit, the Chairperson of the AU, Dr Nkosazana Dlamini-Zuma, encouraged the New Partnership for Africa's Development (NEPAD) Heads of State and Government Orientation Committee (HSGOC) to modernise farming as a means of attracting young women and men into the agricultural sector. The summit themed "Agriculture and Food Security" took place in Malabo, Equatorial Guinea, 25 June 2014.1 Since its evolution from OAU to AU in 2000 the organisation has been battling with the impact of global financial crises threatening its vision of integrated, prosperous and peaceful Africa. Moreover, youth bulge and the rise of youth unemployment continues to destabilize regional peace and food security in Africa. The dilemma has also placed a threat on Africa's peace and security. Young people have resort to violence and armed conflict due to the deficit of hope further worsened and instigated by poverty, hunger, food and job insecurity. The groups that these young people tend to gravitate towards are normally labelled as rebels, terrorists, extremists and nationalists, usually tend to demonstrate their desire for change through violent behaviour such as civil wars, militant Islamist groups and terrorism as in the case of West Africa (e.g. Nigeria, Libya and Mali), East Africa (e.g. Somali, South Sudan and Kenya) and North Africa has been the case of Arab Spring revolution in Egypt, Tunisia and Algeria. Central Africa is now characterised by armed rebellion, the case of Seleka in CAR and M23 in eastern DRC.4 The Southern Africa has reoccurring cases of civil and labour unrest and high crime rates. In such situations women, girls and children become targets and weapons of war. Zille and Benjamin argue that it is at this point that African leadership should realise that the high levels and rate of growth of young African population is actually Africa's gateway to economic growth and development. Therefore, Africa should create more space for a young labour force through minimised formalities of the job market and strict employment measures, also provide better socioeconomic opportunities such as easy access to funding, relevant education, vocational training, in service training aligned with the current trends in the ever changing dynamics of the employment sector. As quoted in their chapter, Africa's Youth Bulge – Boon or Bust? Policy Choices to Assist Unemployed Youth', the two authors states that "when a large youth group is both educated and provided with sufficient opportunities for work, the bulge becomes a boon for development." On the other hand, in his book "The Solidarity Economy Alternative", Vishwas Satgar argues that the current global financial crisis is the result of the neoliberal capitalism. He indicates that solidarity economy is essential as it provides for human basic needs and challenges capitalism; it ensures a transformative and human capacitated society. Satgar argues that Agricultural produce and consumption should be controlled by workers and society through cooperatives, giving this a term "food sovereignty", to increase sustainable inclusive economic growth and development. African leaders should also address the issues of Inequality as a direct implication and an underlying cause to higher level of youth unemployment, hunger, and poverty. Inequality can be in various forms of age, gender and location. For instance, young women are less likely to acquire education, employment, land and funding opportunities as oppose to their male counterparts. At the same time, young people are at a disadvantageous position compared to older people when it comes to employment, land and funding due to their lack of skills and experience. Urban youth are exposed to more opportunities than rural youth in terms of better education, infrastructure and employment and socioeconomic and environmental exposure. Although rural youth might have an advantage in agricultural employment, it is mostly informal with low payment and exploitation due to their lack of education and skills.7 A more balanced approach to close this gap is highly necessary. There is need for Africa to revisit, revise and reform its policies and implementation strategies. 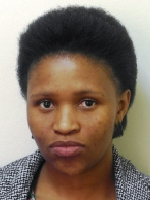 Anna Xoyane is a Research Assistant at Institute for Global Dialogue associated with UNISA and her ideas do not necessarily reflect those of the IGD, UNISA. 6 Keet, D. (2000) 'The challenges facing African Countries regarding the WTO Trade Regime since the Third Ministerial Meeting in Seatle', Braamfontein: Institute for Global Dialogue.